Blog: Will Celebrities Boost the Online Advertising CTR? Will Celebrities Boost the Online Advertising CTR? 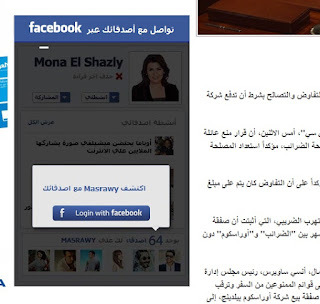 While browsing Masrawy dot com portal, I found below banner ad promoting Facebook application for LinkOnline (owner of Masrawy portal itself). The ad uses photo of the famous TV presenter Mona El Shazly seemingly to achieve better click-through-rate CTR. Using celebrities within paid advertising campaigns (Facebook ads, banner ads, etc) is a commonly used technique by online marketing executives who seek higher CTR while promoting brands, companies, causes, products or even political parties. Will Celebrities Boost the Online Advertising CTR? What do you think?